What is a Smart Home? Learn if smart home automation is right for you. A smart home is integrated. A smart home is convenient, safe, and resourceful. Tap into your homes complete potential with one touch home control. Relax and entertain in a home that is more comfortable and inviting. Be eco-conscious with smart lighting, indoors and out. And be reassured—while at home or away—that things are safe and sound. With one touch, dim the lights, play music, turn up the heat, lock the doors and arm the security system. Or, have your house respond to your schedule and needs without touching anything at all. There are many smart devices available today—TVs, thermostats, door locks, light bulbs, and so much more. Sure, these devices operate just fine on their own, but the true magic is when they are joined together and played in orchestration. A smart home ingrates all the pieces through one, intuitive system that is easy to use—whether you’re 9 or 99. Control every aspect of your house from wherever you are, weather you are in the back yard or away from your home. Using your smartphone, tablet, PC, touch screen, remote or keypad. A smart home can be controlled from a variety of devices. Each one is designed for simple and easy access to the features you use most, utilizing a consistent, easy-to-use interface that ensures controlling your home will be effortless, despite the complexity that goes on behind the scenes. 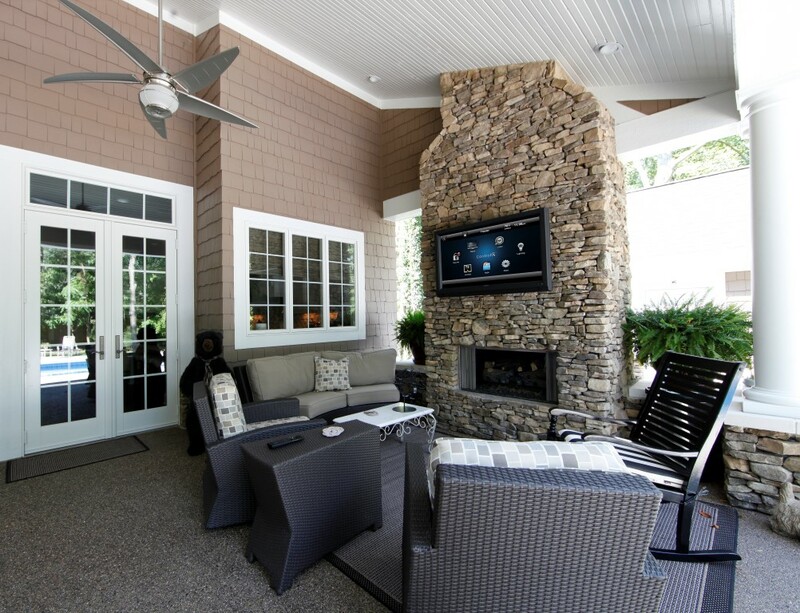 Definitive installed systems are custom built to fit around your lifestyle and needs. Whether you are looking to automate a single room or you are designing your dream home, we are happy to help. Contact us today and get a free in-home consultation.